I was originally a bit late catching onto the Red Queen bandwagon, even though I read the first book back when it was first released and really enjoyed it. For some reason I got behind on reading Glass Sword and Kings Cage, and just recently managed to get caught up on them. I was DETERMINED to read War Storm with everyone else when it was released, and I'm thrilled that I was able to catch up in time to do so. War Storm was an interesting read, and I'm both thrilled and totally sad that I'm now officially finished with this series! I'm sure I've mentioned this before, but there are so many characters in this series to like. I'm going to have a hard time letting go of them now that the series is finished! Mare has been a favorite of mine from the beginning, and it's been so awesome to watch her character grow over the course of the series. I adore her family, and so many of her friends, including Cal, Farley, and Kilorn. They are all so great. There are so many well written characters in the story, some you may like, a few you may not, but they all are well written. I hate to say goodbye to them! The storyline for the book follows along the same line as the previous books. I was super curious to see how things were going to come together for this ending, and I really had no idea what to expect either. I do think I had psyched myself up for more of an ending than what we actually got, however. I'm not saying that it was bad in anyway, I just expected... more... especially after all that had happened in the previous books. *shrug* Maybe I just read the book too quickly, and didn't get the full impact? I may have to re-read it again soon. Either way, I liked how everything wrapped up in the end, and I would love to know just what the future has in store for Mare and the rest of the characters in the story. 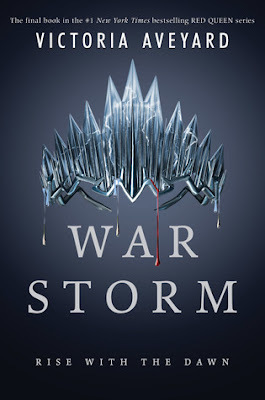 Overall; War Storm was an enjoyable read, and I can't believe it's the end of the Red Queen story! 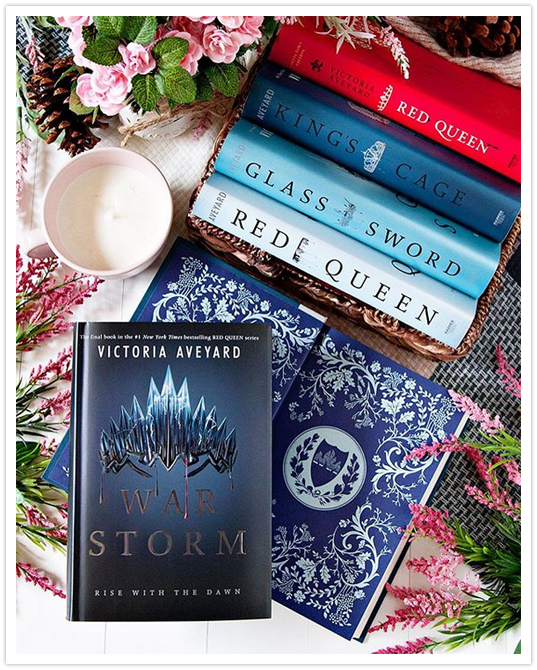 Seriously, if Victoria Aveyard wanted to keep writing books about Mare, I would totally keep reading them. She's awesome, and it's hard to say goodbye to her and the rest of the characters in the story. Thank goodness I can go back and read these books, or listen to the audiobooks, whenever I start to miss them, which will probably be soon. *grin*. If you haven't yet checkout out this final book in the Red Queen series, you should totally do so, just to see how everything comes to an end. 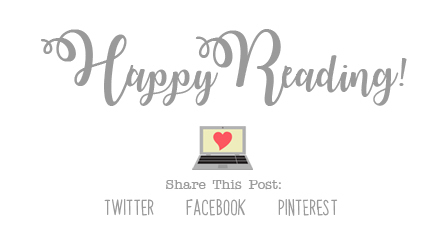 If you've not yet check out the series to begin with, well... what are you waiting on? ?